Adults are often awash in Facebook friends, but many report few real-life confidantes. Investing the time into a friendship may be key. The formula to make a friend seems simple: Meet lots of people, find someone you like and spend time together to foster a bond. But how much time? And what’s the best way to spend it? With many adults awash in Facebook friends, but reporting few real-life confidantes, the process seems elusive. So Jeffrey Hall, an associate professor of communication studies at The University of Kansas, set out to find the answers to those questions in a recent study. He’s been researching friendships for a decade, fascinated by how “non-kin” and non-romantic relationships seem vital to happiness and health. “Study after study has pointed out that having friends and people you can rely on is important for social support, health, longevity, wellbeing and all the things that we want to get out of life,” Hall told TODAY. For his study, published in the Journal of Social and Personal Relationships, Hall first examined survey responses from 355 adults who had recently moved and were getting to know a new acquaintance. They described how much time they spent with that person, how they typically spent those hours together and how close they felt over time. Then, Hall asked 112 university freshmen who had just moved to their college town similar questions about two new acquaintances and followed up over several weeks to see whether they became friends. So how long did it take to make a friend? The precise numbers below may not be exactly the same for all people, Hall noted. And, of course, it’s possible to know someone for years and not feel compelled to become friends, the study points out. This is more about someone you click with right away. • It takes about 40-60 hours of time spent together in the first few weeks after meeting for people to form a casual friendship. • To transition from a casual friend to friend takes about 80-100 hours of together time. • For friends to become good or best friends, it takes about 200 or more hours spent together. • Different stages of a person’s life may require more or less time investment. 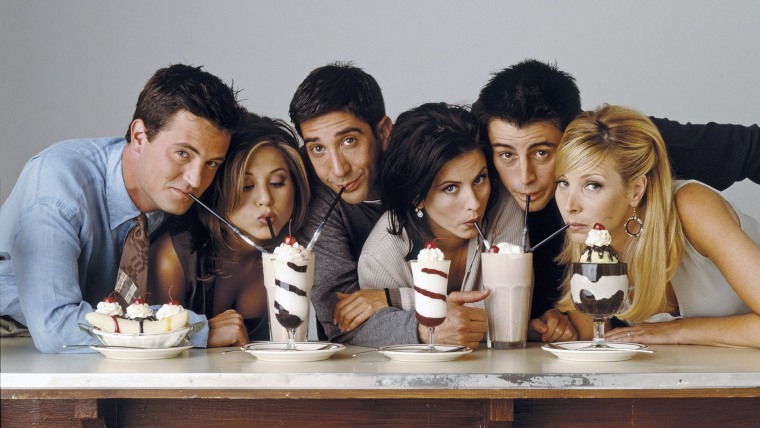 Would a single young adult form friendships faster than a married middle-aged person? That’s a question Hall can’t answer with this study, he said. • Hours spent together strongly predicted friendship closeness, but not if that time was spent at work or in school — places where people weren’t interacting by choice. • The best way to spend time seemed to be just hanging out together, watching TV or playing video games together. People became closer by doing things they liked and enjoying each other’s company. • Time spent talking didn’t make people particularly closer, but chatting was better when they were striving to make a connection — catching up with their friends, asking them how their day was going and joking around. Small talk, on the other hand, seemed to be the enemy of friendship — people who talked about mundane topics become less close over time. And while people have an average of 150 Facebook friends, they can only rely on four in a crisis, a recent study done by an Oxford University psychologist showed. • Go out and mingle: You have to go to the trouble of actually meeting people to make friends. What are your hobbies? Seek out people with the same interests in places where they gather. • Try a relationship in a new context: Get to know the person outside the environment in which you met. Invite a work friend to lunch or to hang out after hours, or go for a hike with a gym buddy — the shift to a new location offers a new opportunity to develop the relationship, Hall said. Just the mere invitation signals your interest in the friendship.